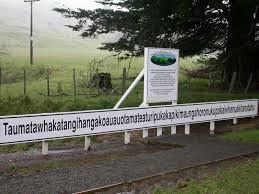 Longest officially recognized place name is Taumatawhakatangihangakoauauotamateapokaiwhenuakitanatahu, has 85 letters. It’s the name for a hill, 305 metres (1,000 ft) high, close to Porangahau, New Zealand. Longest officially recognized place name is Taumatawhakatangihangakoauauotamateapokaiwhenuakitanatahu, has 85 letters. It's the name for a hill, 305 metres (1,000 ft) high, close to Porangahau, New Zealand.